Check out West Coast drum corps in their mid-season form this July in Bellflower, Calif. 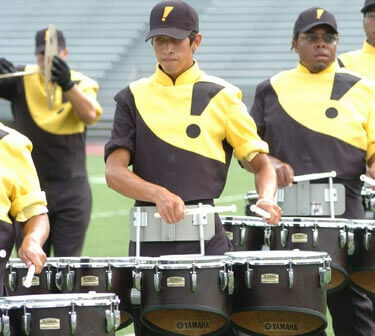 Impulse hosts the 2006 Southern California Classic. 3 p.m. The Southern California Classic event will feature 15 corps including those from Division I, II, III and all-age divisions. Held at Ron Yary Stadium, competing corps include: Pacific Crest Esperanza, Mandarins, Impulse, Blue Devils B, Vanguard Cadets, The Academy, Yamato, Mystikal, Jester Corps, Gold, Blue Devils C, Renegades, River City Regiment and So Cal Dream. The event is hosted by Impulse. Tickets are $15 general admission.